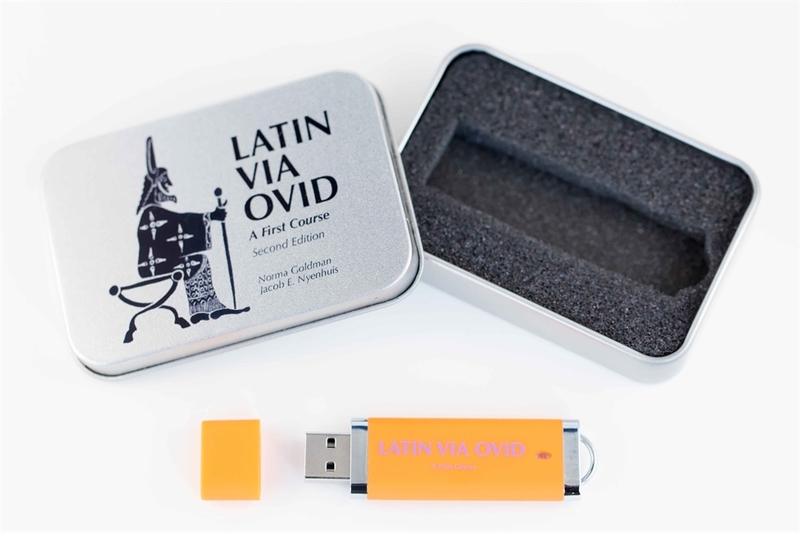 Audio materials are now available to accompany all forty chapters of the unique reading-teaching textbook, Latin via Ovid. Both instructors and students benefit from these audio materials that provide an interactive way to learn while reinforcing what is gained from the lessons within the textbook. 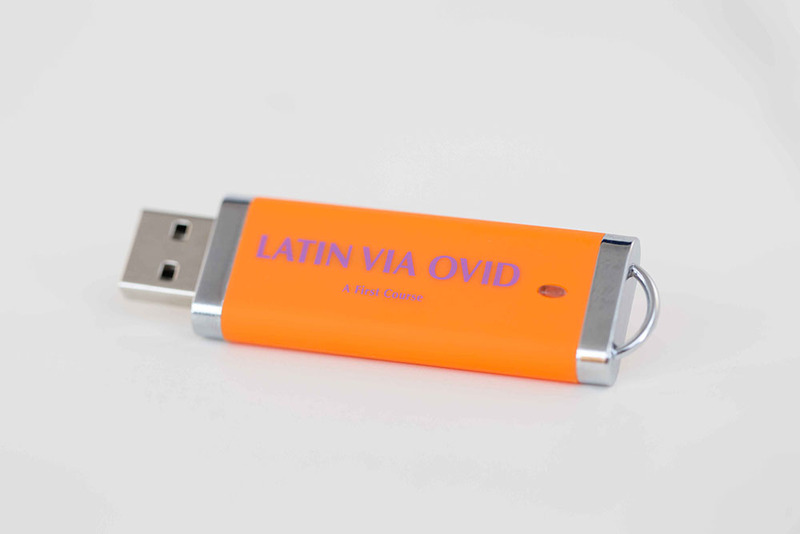 The audio tracks enable students to read Latin aloud with pleasure and confidence, allow for better vocabulary understanding, and help students to appreciate and duplicate the rhythms of spoken Latin. 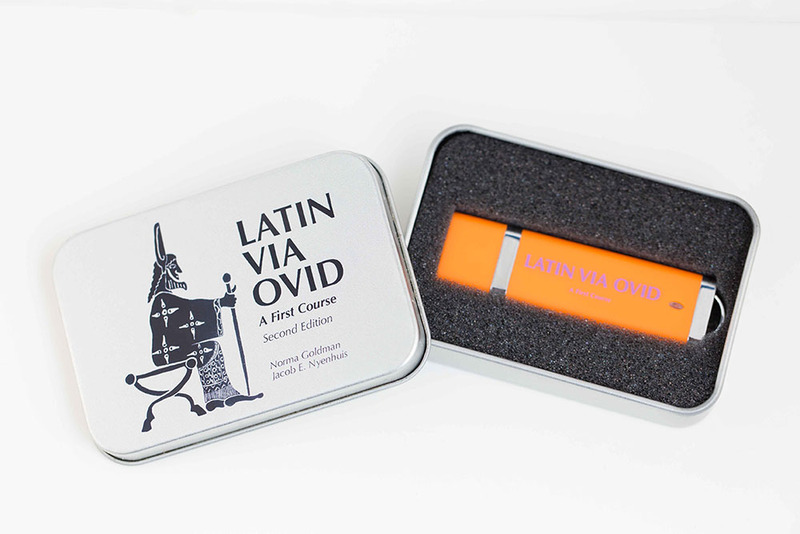 Latin via Ovid audio materials contain poetry selections by the best Latin readers in the country, such as Herbert Benario, Robert Sonkowsky, and Stephen Daitz, allowing listeners to learn directly from the experts. Students can complete their homework in a half-hour by means of this intensive, interactive method whether in the language lab, at home, or in the classroom. Each audio lesson is a half-hour long and includes, after the Dialogue, the Latin story read at normal speed, followed by the vocabulary. The story is then re-read in short phrases, allowing pauses for student repetition. Each lesson ends with the Exercises, including the correct answers. 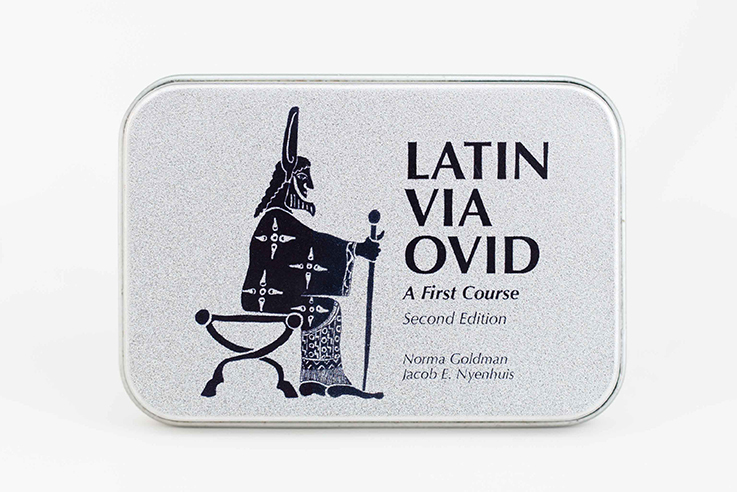 For more information on how to use this product, please see Latin Via Ovid: A first Course, 2nd edition by Norma Goldman and Jacob E. Nyenhuis and the accompanying text Practice, Practice: A Latin Via Ovid Workbook by Norma Goldman and Michael Rossi. The audio content is delivered by a USB flash drive containing the complete audio files. Please note the flash drive is packaged in a sealed tin and not available for return once plastic seal is broken.